This quarter we have been sharing encouraging testimonies, how God has blessed us when we returned our tithe. We encourage others to tithe so they too can receive miraculous blessings. However, this reminds me of a conversation I had with my senior pastor several years ago. I was studying with a family who owned a sandwich and malt shop. They started visiting my church after we studied about the Sabbath, but they still kept their malt shop opened on Sabbath and closed it Sundays. Now as we are studying stewardship and talking about tithe, I think it is great that we can share such miracles of God blessing us as we return tithe. However let’s not miss the point of why we return tithe. My fear is that we present God’s blessings as though they are His reaction to our faithfulness, when in reality our obedience, tithing included, is our response to God’s grace. Let’s remember we are faithful to God with our tithes, not because He will bless us, but because He already died for us. When we truly give out of gratitude, we will not be giving in order to get new blessings. Tithing on your “increase” is different than tithing on your “gross” or “net” as an employee. This affects people who are self-employed and/or invest in their business. An illustration I use when giving a Bible study on tithing is, that if you get paid $50.00 for mowing your neighbors lawn, and you paid $5.00 for the gas, then you actually made $45.00. $45.00 is your increase or profit. You would tithe on the $45.00 since that is what you actually made. By the way the $45.00 is what you would also pay taxes on, so both God and “Caesar” realize you made $45.00, and not $50.00. Of course there could be other expenses too, like the cost of the lawn mower, but I think you get the gist of the illustration. Of course the cost of the lemonade you bought from the stand across the street would not count as a business expense because even though it quenched your thirst, it was not a direct business expense. Tithing on your “increase” is different than tithing on your “gross” or “net” as an employee. I’ll give several other examples, as I see them, and I encourage our readers to contribute their examples. Now “Caesar” realizes if you work in an office or campus, that driving to work and back is not a direct investment to your business. You do not write off travel expenses to work and back. However you do write off travel expenses while working. For example if I’m a courier doing deliveries, I would deduct travel expenses from what I am paid to find my actual profit, and then tithe and pay taxes on the actual profit. By the way your gross income would be considered your actual profit. Let’s say I pick up a kayak in Sydney and drive 170 kilometers to deliver the kayak in Newcastle, for $525. To find my profit I would subtract 66 cents a km, which would be $112, leaving me with a profit of $413. I would tithe on the $413, which would be $42 (rounded up). Of course I can round that up to $45.00 or even $50.00! Now if I drove 10 kilometers to make the pickup in Sydney I would not count that against my profit because that was just getting to work. It was not an expense of the actual work itself. The way I see it, only things that you invested directly to making your profit would be deducted from your profit. Now if I traveled from my home to a courier training workshop in Melbourne, that would be a travel expense relating directly to my business and profit. Everyone needs to decide between themselves and God if something is a direct business expense. Again, your profit is counted as your gross income which you would be taxed on and would tithe on. Sometimes when I am giving this study, people will ask me if they can deduct their home electric bill from their gross income and then tithe after that. The answer is “no.” Your home electric bill is not a part of your business or an investment in your profit. “Caesar” does not let you write off your home electric bill as it has nothing to do with your profit if you are not working at home. 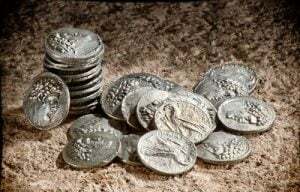 You need to follow your own conscience and Bible principles on determining what your increase is, but as a general rule, if “Caesar’ sees an item as a business expense then it is reasonable to count it as a business expense regarding your increase (profit) and tithe. I hope this conversation has been helpful, and we can discuss it further in the comment section. After returning home to Tulsa from Southern Adventist University, I got a job at Taco Bell, and at 19 years old moved into my own apartment. It was a nice junior one bedroom. My rent was only $200.00 a month. What I would give to take my current salary and go back to those days! My parents both served as treasurers for the Tulsa First SDA Church for decades. They had instilled in me the importance of tithe. My dad always says, “Church’s don’t have financial problems. They have spiritual problems.” If everyone sacrificed and gave systematically as the Bible says, the church will always have enough. While paying an honest tithe, even while barely making above minimum wage I had no problems paying my bills. I remember getting bills in the mail and going inside and writing a check to pay them right away. I did not need to wait until the due date. God was blessing. Funny thing is, as I started making more money I started running into financial issues. I had a budget, but did not carefully watch myself during the month, thinking I had plenty of money. Still in my early twenties, I got a job working in the warehouse of a business forms company, making almost twice as much as I was at Taco Bell. Not keeping close track of what I was spending, I ran into financial problems, and for the first time started falling behind on my bills. I had recently transferred to a smaller church outside Tulsa, where I was serving as an elder. I was the youngest elder in the Oklahoma conference and the most immature too, as I came up with a knucklehead idea for my new financial problems. Had I still been in the church where my parents were treasures I probably never would have done this. I had recently been promised a reasonable raise at work, but every week it failed to show on my pay check. So I decided to use all my money to pay my bills, and stop returning tithe until I got my raise. Each week I recorded what my tithe was so I could pay it once my raise came, but week after week there was no raise on my check. I recorded what I owed in tithe to pay once my raise came. The tithe was adding up. Finally one night after a group Bible study I told an older lady in my church that I felt bad not being able to tithe, but that I would tithe once my raise showed up on my check. She said firmly, “William you are not going to get your raise until you return your tithe.” Now I knew good and well that people get raises all the time who never tithe. However I knew too, that God is a personal God, and He was speaking to me through my older friend. We received our paychecks every Friday, but the following Friday I did not go into work as I had too much overtime. Yes, God was blessing me with overtime while I was waiting on my raise and even withholding my tithe. Even though I did not get my paycheck on Friday, I returned my full tithe that Sabbath. I did not know what I was going to do, but I knew I had to do what was right. Monday morning I went into work and picked up the paycheck that had been lying in my box since Friday. I opened it up and there was my raise! Was the raise a blessing? Yes! But the greatest blessing was knowing a God of love was watching over me, and even speaking to me through my older friend in my Bible study group. He loves me and takes care of me. All I have to do is trust in Him instead of my knucklehead ideas!